Vehicle wraps are a powerful mobile advertising tool that can reach thousands of potential customers weekly. Vinyl car wrap graphics can be removed at any time, and they actually protect the exterior finish of your vehicle. 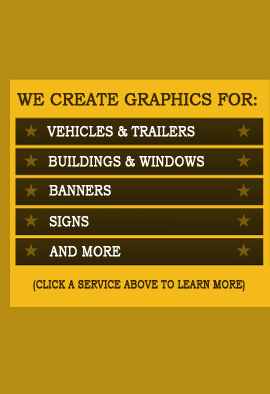 All vehicle graphic designs are custom made by our skilled graphic designers and tailored to meet your business needs. Vinyl vehicle wrap graphics are installed by our professionally trained staff. We use top-quality vinyl material with a manufacturer warranty of 5 years. We have a convenient location in Des Moines, Iowa and would like to meet with you personally.